Campaigns are underway for the Kansas City, Missouri School District Board of Education seat in District 2, and election day will be Tuesday, Nov. 6. The KC Education Enterprise is asking each candidate to respond to a list of questions that may help voters decide how to cast their ballots. Stephen Himes is one two candidates who filed to fill the seat vacated by the resignation of Derek Richey, who moved to take a new job out of town. The other candidate is Gunnar Hand. I was a gifted program coordinator in a public high school in Southwest Missouri for six years. At age 22, my superintendent assigned me to start the program from scratch, meaning that I had to cultivate a parents group, write a policies manual, develop curriculum, work with students with special needs, and comply with a maze of state regulations—while attaining an M.Ed. in Gifted Education. During this time, I also had to compile data, write reports, and conduct interviews with the state accreditation agency. I also taught English and was the speech and debate coach, as well as tennis coach. After six years, I left this job to go to law school at the University of Kansas, where I volunteered at Legal Services in downtown Kansas City, Kansas. I went into some of the poorest parts of Wyandotte County to work with the elderly on developing wills and trusts. I also worked for Senator Greta Goodwin, a leading Democrat on the Kansas Senate’s Education Committee. I got to see firsthand how legislators create education legislation, and I collaborated with senators on developing a bill concerning the state’s support for teaching master’s degrees. I also worked for the district attorney in Lawrence, where I gained trial experience and learned to ask the tough questions. More importantly, at KU I was the Executive Director of the Graduate and Professional Association. I led a group of students and administrators in an advocacy effort to save graduate student funding in Kansas. I organized three different universities: recruiting students, working with student leaders, coordinating administrative efforts, collaborating with university media relations and lobbyists, and putting on events. I connected students with the governor, lieutenant governor, key legislators, lobbyists, and a private science advocacy group. I promoted these efforts in local and statewide media, and in the end, graduate student funding was spared the draconian education cuts that have afflicted Kansas over the past decade. For the last four years, I’ve worked at St. Teresa’s Academy, an all-girls Catholic school in Brookside. I was chosen to be an accreditation standards chair, so I’m current on data-driven accreditation regimes. I’m also all-but-dissertation for a doctoral degree in Educational Leadership and Policy Analysis at Mizzou. Through this program, I’ve trained in collaborative group decision making on tough issues in education—just like what a school board does. I’m trained in education statistics, so I can evaluate the district’s claims about progress towards accreditation. More importantly, I’ve worked in teams to create solutions to difficult, politically fraught education issues like those we face in Kansas City. I’ll discuss this more in detail below. No. My wife and I do not have children. I have been involved in school activities my entire professional career—fundraising, booster club, fine arts, theater, speech and debate, parent groups, etc. It’s the life of teacher to be involved where you work, and I plan on being just as involved in Kansas City in my role on the board. 4. How frequently do you attend board meetings, and how long have you been attending meetings? I have missed one board meeting this year. Overall, I’ve been to eight in my career. I attended meetings off-and-on starting two years ago in conjunction with my education doctoral program. 5. What do you see as the board’s roles and responsibilities? The board’s role is governance, meaning that it lays out a vision for the district and assesses the administration’s progress towards that vision. It functions as both a watchdog and an advocate: a watchdog of the district’s finances and student performance, and an advocate for the needs of students and parents. To implement the board’s vision for the district. The board should not direct those who work for the superintendent; this would return to the same micromanaging problems as the old subcommittee system. However, the superintendent is responsible to the board; in fact, deciding on the superintendent’s contract is the board’s most important job. Yes. It’s important for the board to speak with one voice, but it’s more important to collaborate in good faith with the body you’re a part of. I saw this in the legislature: a body that’s totally devoted to a zero-sum game of “winning” and “losing” creates bad blood, which leads to acrimony and gridlock. I will strongly advocate my positions, but if the total board goes the other way, I will look for areas of compromise to push our vision forward. 8. What are the some of the challenges currently facing your district? Priority #1 is accreditation. I have a lot of experience in this area. I’ve been through MSIP twice; I’m currently an accreditation standards chair at my school, where I’m compiling data, writing reports, and conducting interviews in preparation for our site visit. Also, in my doctoral program, I’ve worked in groups on issues like performance pay, program evaluation, ESL integration, as well as working with the kind of complex, education-specific statistical analysis MSIP employs on its accreditation scorecard. In short, my entire professional career has prepared me for this job. The district’s biggest strength is its community. 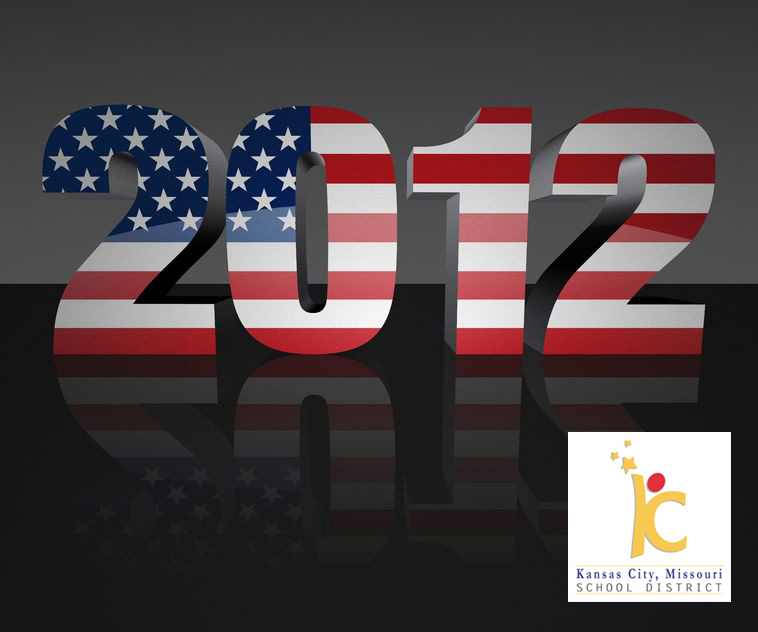 Kansas City is blessed with a wealth of community resources that all want the schools to succeed. However, the district hasn’t been able to connect to these resources. I envision working with various community groups to bring resources to students, like the Harlem Children’s Zone in New York. That organization benefits from millions of dollars of private foundation money, but there’s nothing that says a community as tight as Kansas City can’t do the same thing for a lot less. This kind of model exists in similar urban areas, and we can make it work here. The district’s biggest weakness is a history of dysfunction that has engendered bad blood between various factions in the city. I hope that my background as an educator and training as a collaborative leader will help put the focus back on kids, which tends to make politics fall away. It’s difficult for a board member to affect children directly. As a teacher, no board members have ever walked into my classroom or given me advice on teaching—that’s not their role. But they have supported facility management, finding cost-of-living adjustments in the budgets even during tough times, made sure I have textbooks, hired good superintendents who recruited good principals—all the things that help me do my job, which is teaching children. That idea would ground my decision making on the board.